An issue that often arises during or after a divorce or parentage case is the relocation of the children. The parents have separated, and each has their own home and parenting time with the kids. Then, the parent with whom the children reside most of the time (the residential parent) decides that he or she would like to relocate with the kids. Is it permissible? What duties are owed to the other parent? What if the other parent objects? A change of residence from the child’s current primary residence located in a county not listed in paragraph (1) to a new residence within this State that is more than 50 miles from his or her current residence. A change of residence from the child’s current primary residence to a residence outside the borders of the State that is more than 25 miles from the current primary residence. If a move falls within the definition of relocation, then the parent who wants to move the children’s residence must obtain the other parent’s consent, or permission from the court. In layman’s terms, if the parent with whom the children reside lives in the six counties in the Chicago area, he or she can relocate the children anywhere within 25 miles of his or her current residence without seeking permission from the non-residential parent or the court. If the parent does not live in one of those six counties, he or she may relocate the children anywhere within 50 miles from his or her current residence without seeking permission from the non-residential parent or the court. For example, if a parent lives in Antioch, Illinois and desires to move into Wisconsin, as long as he or she relocates across the border but stays within 25 miles of the Antioch residence, he or she does not need to ask permission from the non-residential parent or the court. However, despite the fact that the children now reside in Wisconsin, Illinois courts will continue to have jurisdiction and be the home state of the children. Moreover, even if the parent that is moving does not need to seek permission from the non-residential parent or the court, he or she should always keep the non-residential parent notified of the children’s residence. If the move proposed by the relocating parent does not fit within the three criterion above, however, he or she must follow certain procedures set forth in Section 609.2 of the Illinois Marriage and Dissolution of Marriage Act. The parent seeking to move must provide written notice of his or her intent to relocate to the other parent, and this notice must also be filed with the clerk of the circuit court. The notice must contain the intended date of relocation, the intended address, and the length of time the relocation will last, if not indefinitely. Furthermore, notice must be given at least 60 days before the proposed relocation. If the non-residential parent agrees to the relocation, he or she may sign the notice and file it with the clerk of the circuit court. If this occurs, the court will modify the parties’ parenting plan. If the non-relocating parent objects, however, the parent seeking to relocate must file a petition with the court seeking permission to relocate. The judge will apply the specific facts of each case to the factors listed above and make a decision. It is important to note that one single factor will not be determinative of a judge’s decision. Rather, the judge will consider all the circumstances and weigh all the factors before making a decision that is ultimately in the best interests of the children. 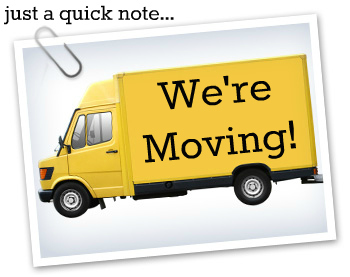 For more information regarding relocation during and after a divorce, contact us.